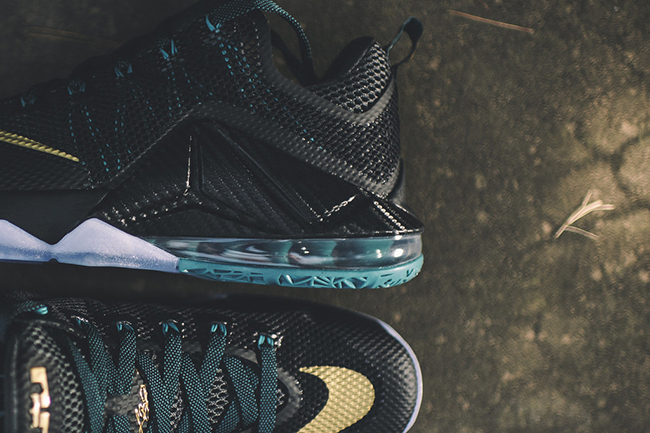 The Nike LeBron 12 Low ‘Carbon Fiber’ is the first pair to receive the carbon fiber treatment. 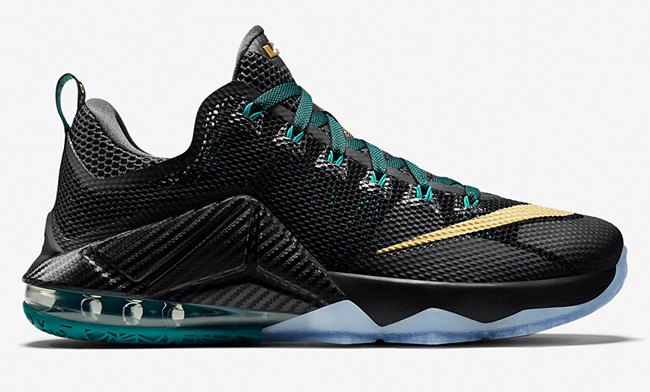 This new look could help push the line, which we feel is one of the top LeBron 12 Lows to come. 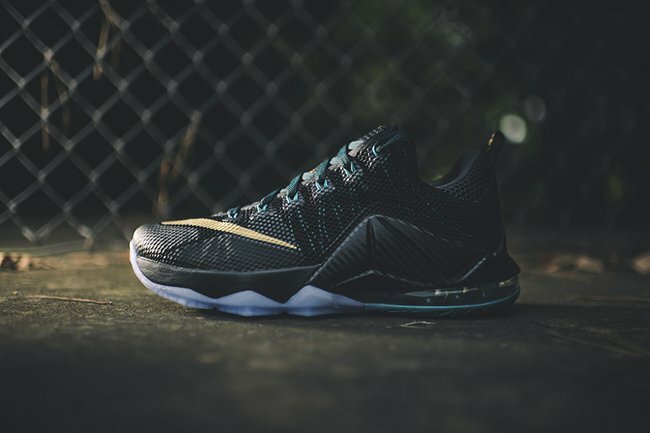 Dressed in a black, metallic gold, anthracite and radiant emerald color theme. 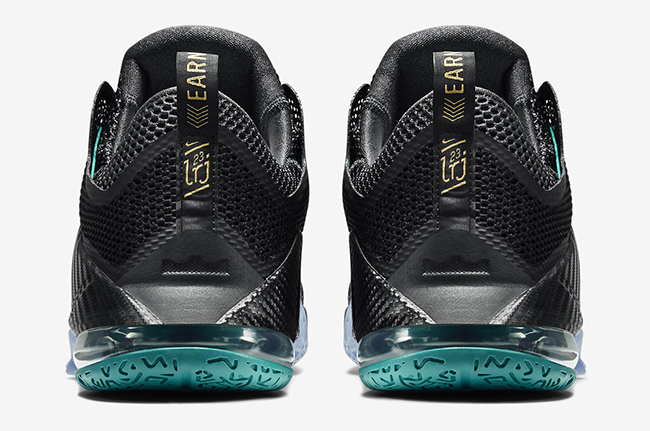 Through the base is mainly done in black with carbon fiber landing on the Hyperposite wing. 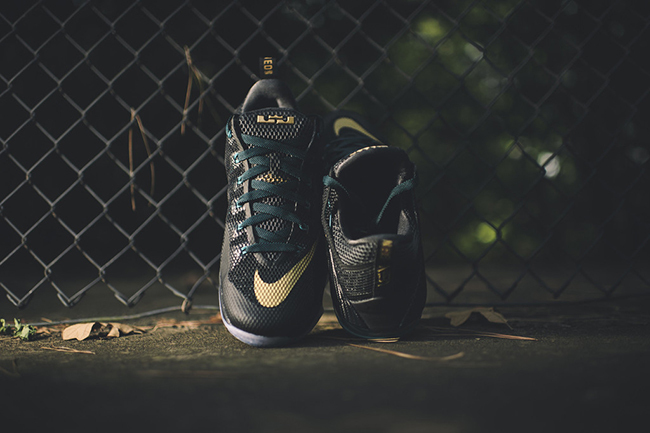 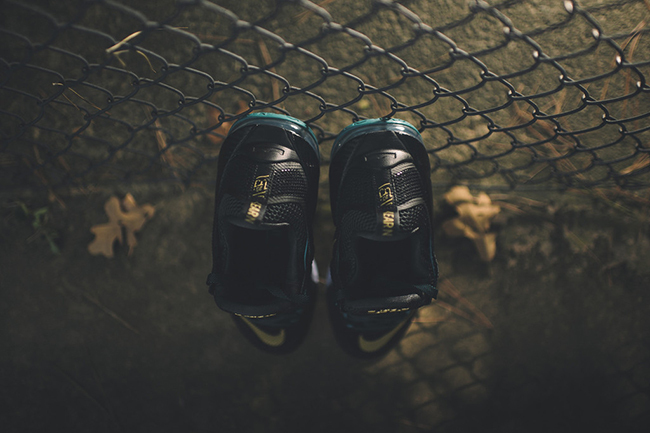 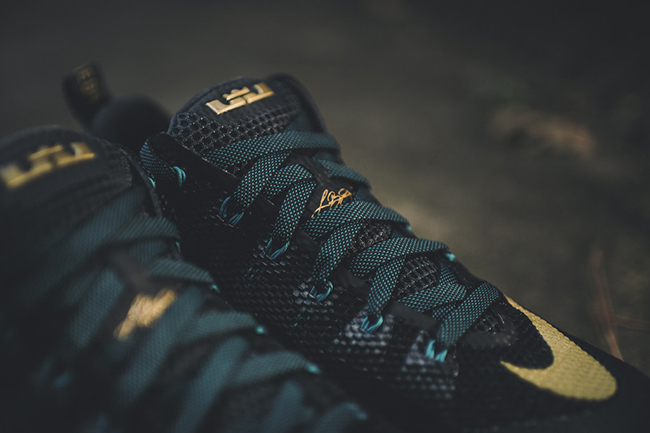 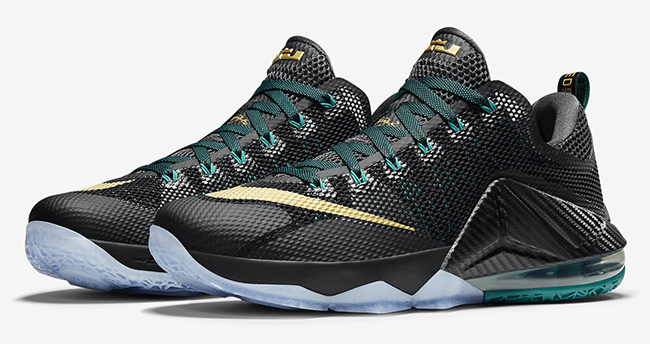 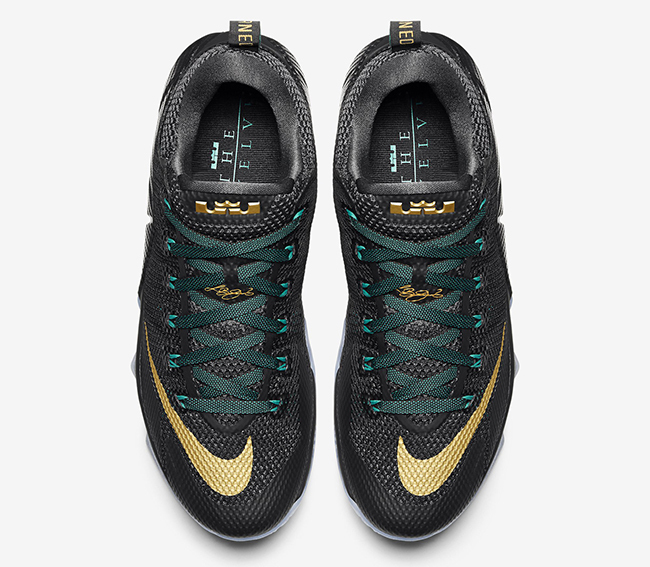 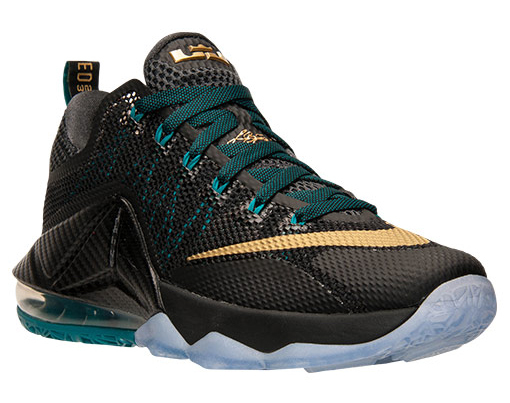 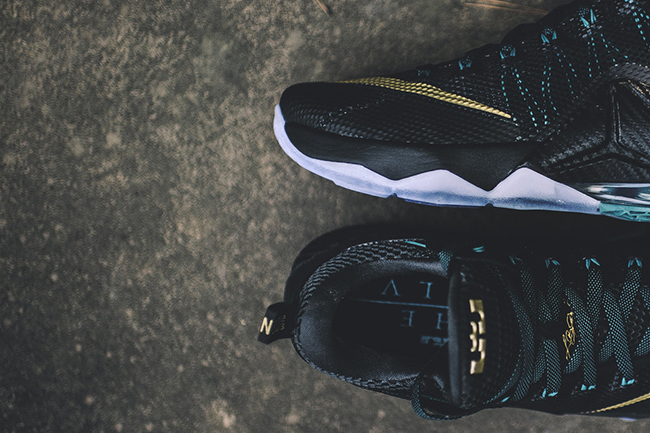 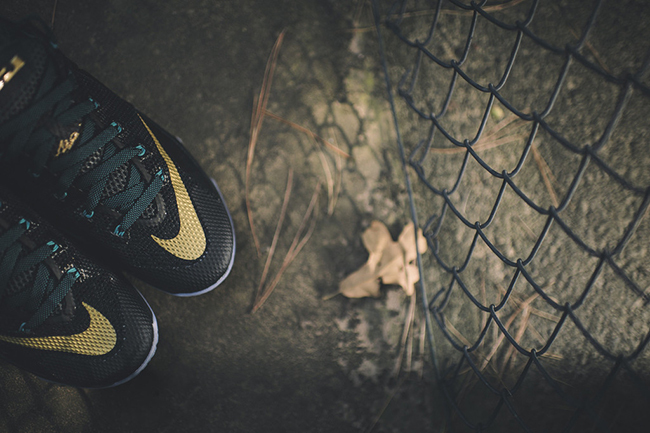 Metallic gold fills in the swoosh across the toe box and medial side and LeBron branding on the tongue. 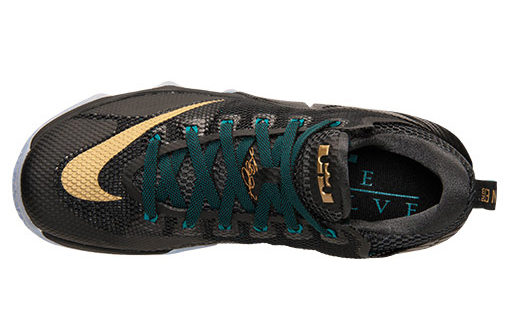 Following up is radiant emerald which hits the laces and part of the outsole. 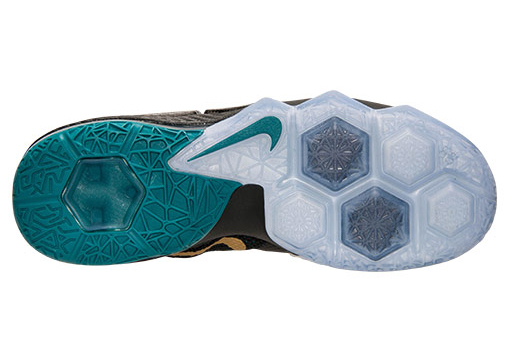 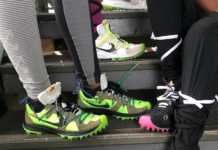 The front part of the outsole will come with an icy tint. 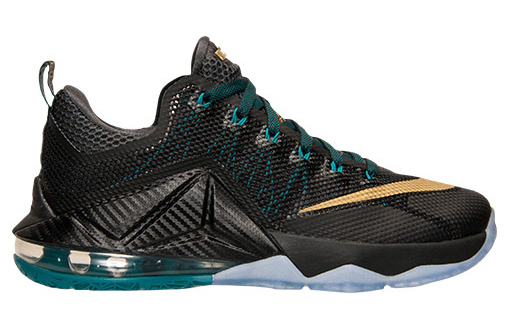 With our first look we also have a release date for the ‘Carbon Fiber’ Nike LeBron 12 Low. 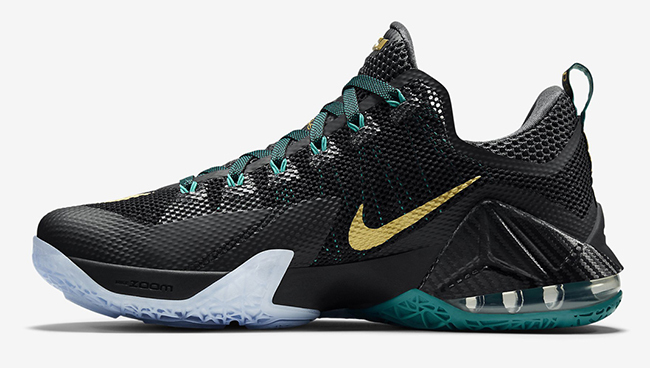 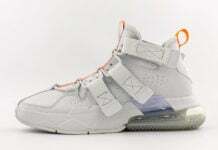 They will land at Nike Basketball accounts on September 3rd, 2015 and will cost you $175. 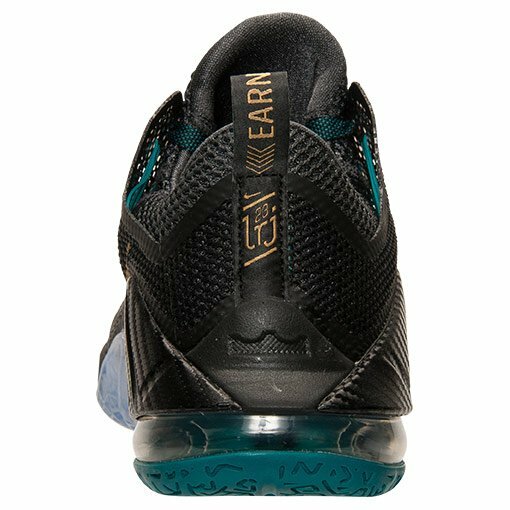 For those interested, you can see more official images below for a better look. 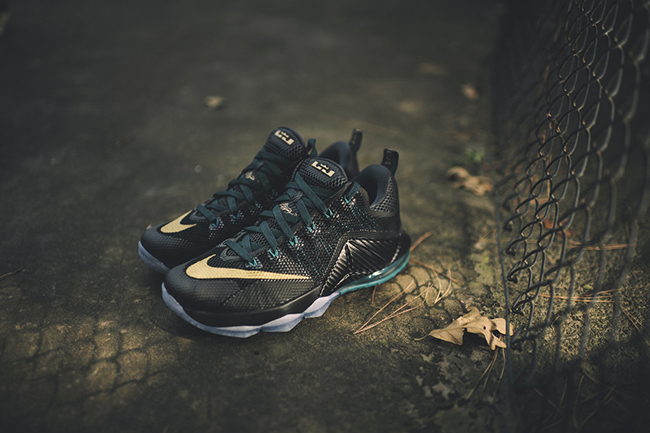 Update: With less than a week to go, the Nike LeBron 12 Low ‘SVSM’ aka ‘Carbon Fiber’ will show up at retailers. 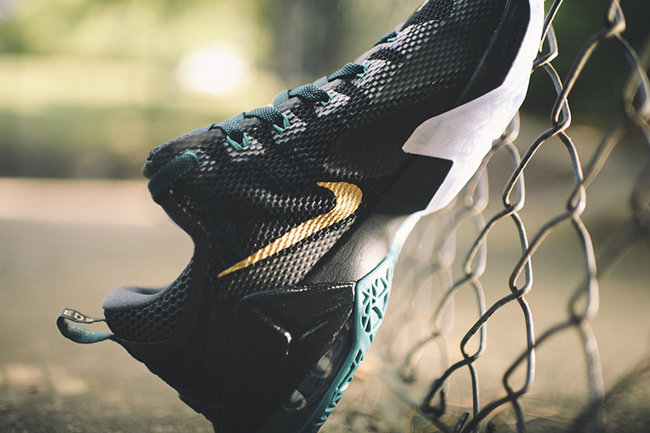 Today we bring you another look provided by RockCityKicks. 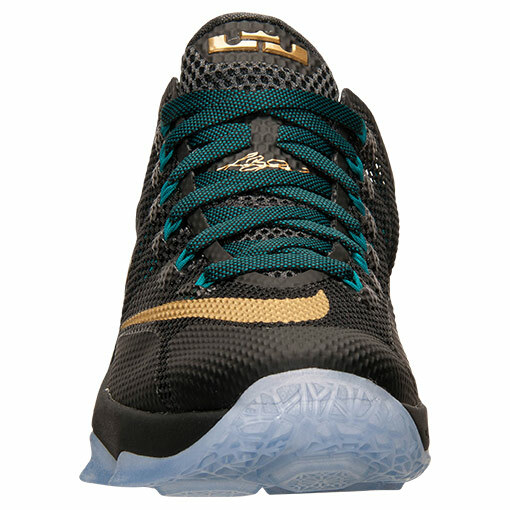 Update: Originally being called ‘Carbon Fiber’, this LeBron 12 Low also features a similar color theme of LeBron’s High School, SVSM. 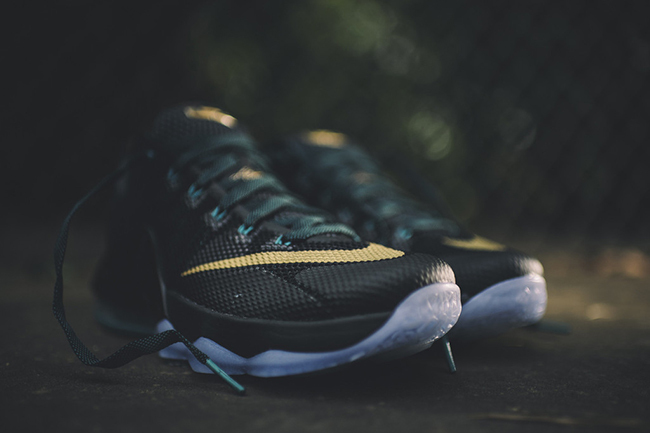 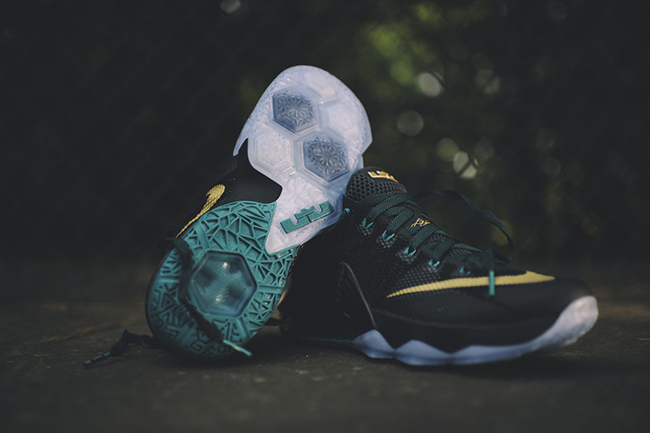 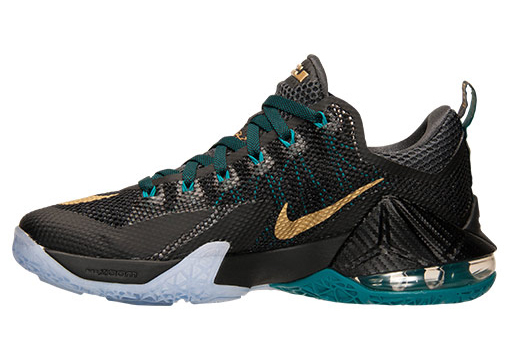 Thanks to FinishLine, we now have more images of the ‘SVSM’ Nike LeBron 12 Low due out on September 3rd, 2015.